You may have seen pictures of several astronauts in space, but did you know that they actually go taller when they are right there? 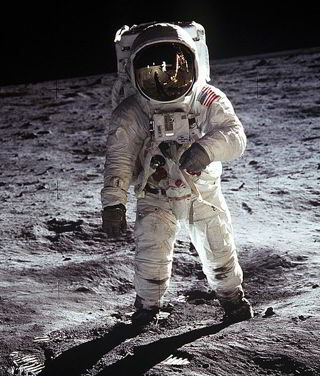 Astronauts can grow up to 3% taller when they spend time in micro-gravity, as said by the scientists in NASA. This means that if a particular astronaut is 6 feet tall, he can gain 2 inches when he is in orbit. While some of the scientists already knew the fact that the astronauts grow in their height when they stay in space for months, NASA has now started with an ultrasound technology to find out what happens to the spines of the astronauts when they are in micro-gravity. They wanted to learn the effects of the orbit on the spines of the astronauts when they stay in International Space Station. However, the research can be conducted by next year because a lot of crew training has to be done, along with a few remote guidance procedures. According to the earlier studies, when the spine does not have an exposure to the gravity of the Earth, the vertebra has a tendency to expand as well as relax. This is the reason why they grow taller. No doubt the short gain is for a temporary period of time, but it happens for as long as they are in space. Just when they return to Earth, their height gets back to the normal self in a few months. Why Does NASA Want To Go Deeper Into The Study? Scientists have yet not been able to find out the exact experience and effects of micro-gravity on the spinal columns of the astronauts. By this very month itself, the astronauts will start with the ultrasound device that would let them scan each other’s backs to learn more about their spines.